Finally, the end! Part 9 of my 9 part series on Ace Frehley! Via this series, we took a comprehensive look at every significant Frehley solo release that I had access to. Here’s a directory to the whole thing in case you missed a part! Ace had a pretty good backing band on this, only his fifth solo album! Anton Fig on drums, Anthony Esposito (ex-Lynch Mob) on bass, and a few guests here and there such as Brian Tichy. The overall sound is much heavier than anything Ace has done before. There are lot of chunky guitars, and a ton of riffs. “Foxy & Free” is fine as an opener, but melodically a little awkward. It’s hard to put my finger on exactly what I don’t like about it, but it’s not one of the better songs. Much better is “Outer Space”, Ace’s re-imagining of a song by a band called Shredmill. While that band originally conceived the song as a Danzig-esque prowl, Ace cranks it up. Pedal to the floor, this is the best song on Anomaly. Too bad it’s a cover because this is the kind of original that Ace needs. Unfortunately “Outer Space” is followed by “Pain in the Neck”, another one I find melodically annoying. Another cover, “Fox on the Run”, restores the album. Much like “Do Ya”, I think Ace knocked it out of the park with this cover. His modus operandi seems to be taking catchy pop songs and rocking them up. He does it very well. Another thing he does very well is instrumental tracks, and “Genghis Khan” is a fascinating one. You don’t think of Ace as being influenced by Led Zeppelin so much, but this definitely sounds like Zeppelin for the most part! This is thanks in part to Anton Fig’s perfect execution on drums. But it’s not exactly an instrumental, as it does have a chorus! “So, long, Genghis Khan!” But that’s pretty much it in terms of lyrics! Like a see-saw, the album swings back to melodically questionable territory. “Too Many Faces” is not a stand out. It’s heavy but lacks significant hooks. “Change the World” is a another high. Frehley’s an electric hippy praying for peace. It’s not the first time, but it’s a worthy successor to songs of the past such as “Remember Me”. Unlike many of the weaker songs, “Change the World” is catchy, singalong quality, and fun! A punishing and cool instrumental called “Space Bear” is actually overshadowed by another version of the song later on, so I’m going to skip it now. “A Little Below the Angels” is a pretty good acoustic ballad. I really dislike the middle section, with Ace talking to the girl…wish that had been excised. It’s back again to heavy territory on “Sister”, one of the few really decent original Frehley heavy rockers on the album. This one features Scot Coogan (Brides of Destruction) on drums, and he really throws caution to the wind and goes for it! His drums are a highlight of a great Frehley rocker. “It’s a Great Life” is certainly interesting. 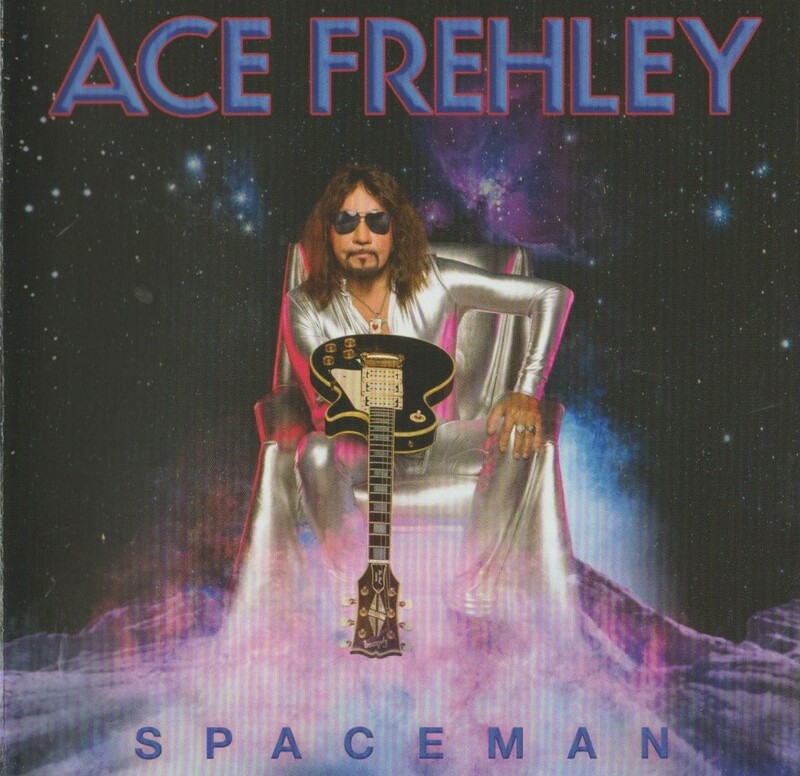 It’s a funky 80’s sounding rocker, with Ace’s personality. The chorus could have been stronger. Imagine what a producer like Eddie Kramer could have done with the sound of this album! Sonically, Anomaly is disappointing for the most part. 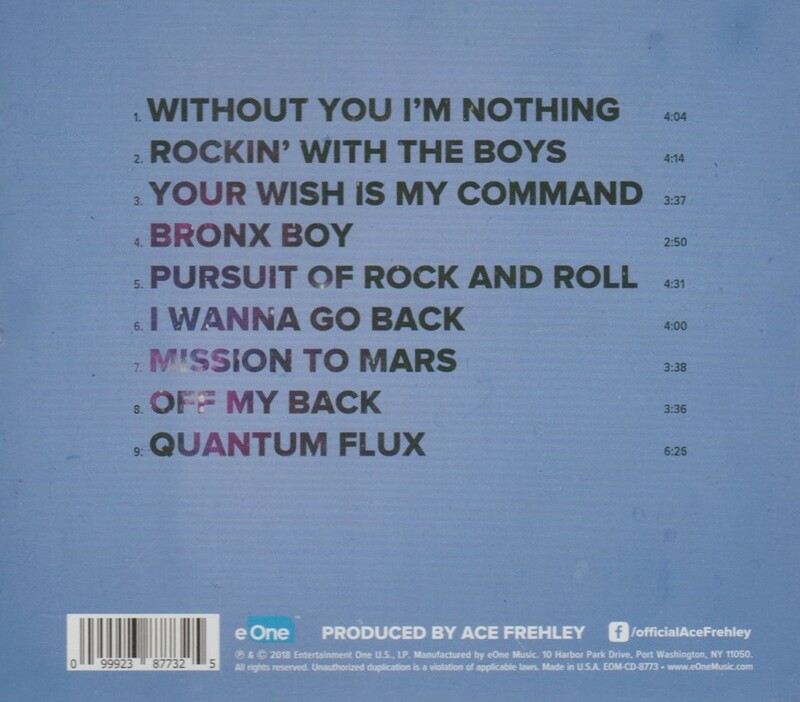 If Kramer had produced, I’m sure the closer “Fractured Quantum” would shimmer like the other three “Fractured” songs. Don’t get me wrong, I love “Fractured Quantum”, I just think it lacks a certain sonic shine that the others have. Like the other “Fractured” instrumentals, it consists of layers of acoustic guitars with some electrics here and there. It is melodically simple and it works. iTunes offered their exclusive bonus track, “Return of Space Bear”. This song is either a) no longer available on iTunes, or b) not available on iTunes in Canada. Needless to say I was forced to acquire it in the shady underbelly of the internets, but find it I did. “Space Bear” is a reference to Ace’s hilarious drunken appearance on the Tomorrow Show with Tom Snyder. On October 30 1979, Kiss appeared on the show, and Ace was pre-lubricated. A visibly upset Gene Simmons attempts to divert attention away from Ace and his “first space bear ever in captivity”, a little teddy bear version of himself! On this iTunes version, Ace’s dialogue is added, and this is the version I like best. Ace re-enacts some of his funniest drunken lines over some cool rocking riffs. To me, the tune sounds like early rocking Aerosmith, circa Rocks. I will say that I don’t like the packaging. The cardboard case thing unfolds into a pyramid, but I’ve never tried. As a device to hold a CD, it’s annoying to get the disc in and out, and mine is pretty scratched. I did find a photo of the “pyramid” form at a cool blog called Heavy Metal 107 — click the thumb to see. And that’s Anomaly, Ace’s first solo album in 20 years. By coincidence, just like last time (Trouble Walkin‘), Ace’s new album came at almost exactly the same time as a new Kiss CD, Sonic Boom. As before, fans compared and argued over who had made the better album. I think these fans miss the point. It doesn’t matter who made the better album, what matters is that both finally got back to making albums! When Ace returns for his next solo album, you can bet I will be here to tell you all about it. Thanks for reading this series! I hope you enjoyed.